Well, earth-moving has been well underway for about a month now, with much of the demolition completed. If you haven’t been through the intersection lately, the PNC Bank in the SE corner is gone, as well as the 2-unit strip in the NE which held Payless Shoes. 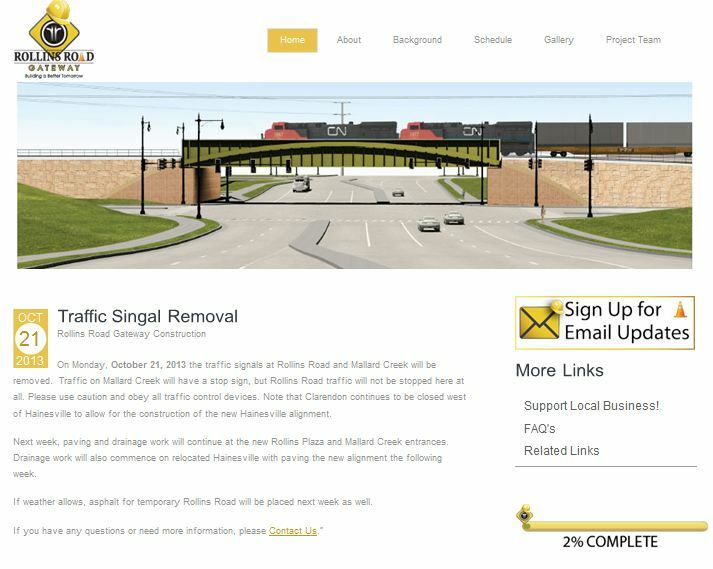 – this project is NOT building a railroad overpass over Rollins Road! Both Rt. 83 AND Rollins Road will be lowered in the vicinity of the intersection, and Rollins Road will go UNDER the railroad tracks! The lead contractor for this project, F.H. 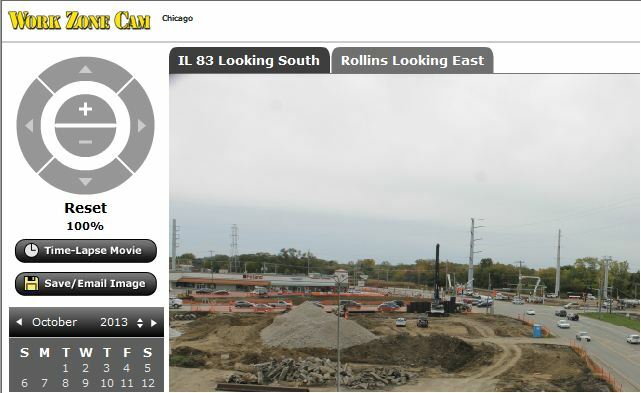 Paschen, installed two web-connected cameras with which to monitor construction progress; the cameras update every 30 minutes. A increasingly-useful elapsed-time function from each vantage point provides an interesting way of looking at the progress of construction. 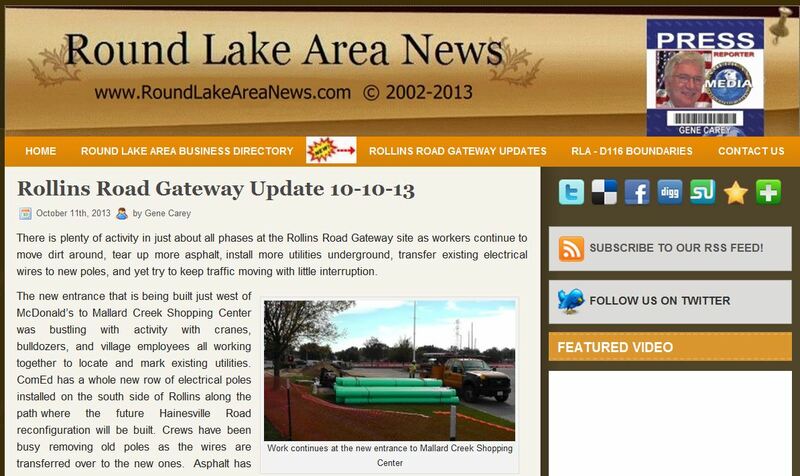 Gene Carey of Round Lake Area News (RLAN) has undertaken the challenge to provide ongoing updates of the Rollins Road gateway contruction and progress. Based on what we’ve seen so far, he and his staff are doing a tremendous job in providing near-daily updates, most with video. The RLAN website has a new page entitled “Rollins Road Gateway Updates“, which is a great way to find out the latest doings, from a resident’s perspective. With all that coverage, we won’t go into too much detail about the Project itself, but we’ll certainly look at the impact it has on the community and the local economy… especially as it nears completion and starts funneling vehicles through Round Lake Beach at capacity once again! This entry was posted in Construction / Maintenance, Rollins Road Gateway. Bookmark the permalink.